In last 12 – 18 months we have seen smaller Indian Mobile companies like Micromax, Spice, Karbonn, Zen, lemon Mobiles & fly gaining rapid market share due to there aggressive pricing & marketing efforts along with feature rich phones. Infact, Micromax has now over 15% market share in India in span of less than 2 years. These mobile companies are growing rapidly as their strategy is very simple – Sell phones loaded with features at dirt-cheap prices. Micromax, for instance, sells smart phones at less than Rs 8,000, which is 33 per cent below multinational rivals. All Lava phones are priced below Rs 6,000. 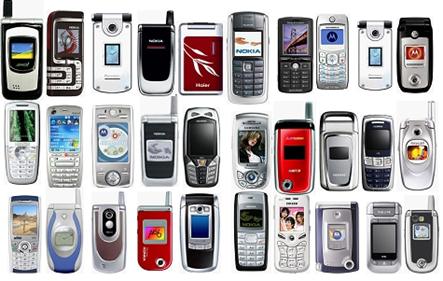 Majority of handsets by these companies are sub 5k mobile phones. There is off-course a reason why they can price their mobile phones so cheaply. They basically import un-branded phones (mostly from China) and re-brand them under their names and then sell them in India. This strategy has been so successful that over 15 to 20 mobile companies have cropped up over past couple of years. Now, these companies are in for a big shock from Telecom Minister A. Raja, as the controversial minister has signed a proposal to Department of Telecommunication to prepare a policy that needs to set a minimum numbers of handsets sold in India which are manufactured locally. Essentially, he wants to restrict the imported handset market and promote more handsets manufactured in India. The reason – Given that more than 10 million handsets are sold in India every month, there is a sizeable opportunity of Employment and job creation for Indians, if more Indian manufactured mobiles are sold. It will also help setup a robust manufacturing hub of Mobile phones in India. This is really a good news for mobile manufacturers like Nokia, who have one of the biggest mobile manufacturing units in Chennai and have been constantly loosing market share to cheaper imported mobile phones. Now, let me make it clear that this is still at the proposal stage and the restrictions may not come into force – However, if it does, it surely will be big blow for mobile companies who import, rebrand and sell cheap mobile phones in India. Good Proposal that could not see the light of the day.